LAHORE: A report released by Fitch Solutions on Thursday said the rapid pace of credit growth in the banking sector looks set to slow in coming months as the effect of the tightening by the central bank in 2018 begins to trickle in. Its projected loan growth at 13% in 2018, down from a forecast 15% in 2018, said the research agency. “Together with higher oil prices, this could create a downward cycle of lower loan growth, weaker asset quality, and reduced profitability and capitalization,” said the report. The research agency believes the country’s external woes aren’t over yet and financial assistance in some shape should help avert a destabilizing currency collapse and an outright recession in the near-term. It said this would potentially contribute to an increase in NPL as corporate profitability shrinks, especially in the import-dependent sectors. According to Fitch Solutions, headline metrics across the country’s banking sector continue to look solid, however, it was pushing back their expectations for a decline in profitability and asset quality. In a comment to Profit, Pak Kuwait Investment Co AVP Research Adnan Sheikh said, “Pakistan’s central bank was the most hawkish in the world last year. 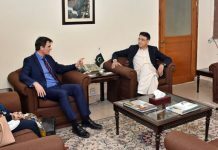 The research agency said the current Pakistan Tehreek-e-Insaf (PTI) government is continuing seeking unconventional sources of funding to avoid a balance of payment crisis. It added this would normally need a sharp fall in imports and be accompanies by a slowdown in economic activity. “However, that is just kicking the can down the road in our view, which would create larger economic distortions and greater pain in the future,” noted the research agency. 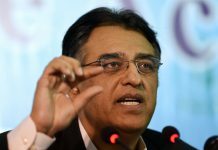 Whilst talking about the remarks of Finance Minister Asad Umar on January 13th regarding not approaching the IMF for a bailout and considering alternative options to rein in the economic crisis, Fitch Solutions said this suggests that the government continues to have little appetite for austerity and necessary economic reforms, which would prolong the current upcycle. “Moreover, the worst-case scenario of a balance of payment crisis appears likely to be avoided in the near-term with foreign bilateral assistance. 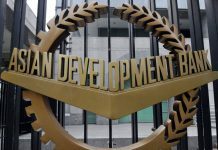 Islamabad has secured $3 billion in foreign loans from the UAE and is eyeing further assistance in the form of deferred oil payments,” said the report. Moreover, it highlighted the government had procured an additional $2 billion from Beijing, although the details of the agreement remain murky, it looks to be a part of the larger China-Pakistan Economic Corridor (CPEC) framework. “It seems likely that the latest round of Chinese largesse has given Islamabad the confidence to snub the IMF’s more stringent requirements for obtaining funds. Fitch Solutions said the banking sector appears to be in a sweet spot for now, since loan growth to the private sector continued to surge in November, touching a fresh multi-year high of 21.4% year-on-year (YoY). Concurrently, the non-performing loans (NPLs) ratio remained low in quarter 3 of 2018, clocking at 8% of total loans, only up 0.1% from the previous quarters’ print of 7.9%. Loan to the private sector as a percentage of total credit has continued to rise, clocking at 41% in November 2018, the highest level attained since 2013. It projected the banking sectors’ profitability to rebound over the coming quarters after experiencing a fall in quarter 1 of 2018 due to profitability on loans to the private sector much higher than loans given to the government. “Taken together with the added tailwind of lower oil prices (since Q418) helping to boost consumer purchasing power and corporate margins, we expect asset quality and capitalization to remain healthy in the near-term,” said Fitch Solutions. It warned loan growth is likely to slow and NPLs are set to increase in the wake of cumulative hike of 425 basis points by the State Bank of Pakistan (SBP) since last year. Fitch Solutions projected due to tighter monetary conditions, the refinancing risks will rise and negatively impact asset quality of banks. “Real benchmark interest rates have increased to around 380bps as of end-December, which will make loan affordability increasingly difficult in the low margin manufacturing sector that has been the main recipient of the recent surge in credit,” it observed. And it cautioned that it expected oil prices to rebound over the coming quarters for Brent crude to average $75 per barrel in 2019, up from the spot price of $60.7 per barrel, which will pose risks to Pakistan’s economy. “However, this is not solving the root cause of the problem, which is the country is spending beyond its means. The continued rise in government bond yields, which hit 10.1% on January 14, partly reflects the rising credit risk,” said the report.